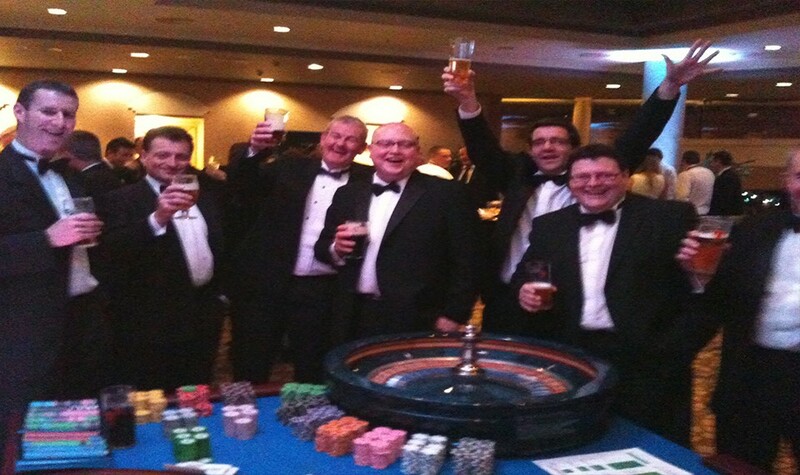 Casino Hire Ireland – Are you having a Party, Wedding or Event in Ireland? Do you need a authentic casino experience? Our casino hire in Ireland is what you need! A KD Entertainments Fun Casino is exciting and memorable, and a great way to break the ice and encourage your guests to mingle! You can now have all of the excitement of a real Casino at your event, without any risk or expense to your guests. How Does Casino Hire in Ireland Work? 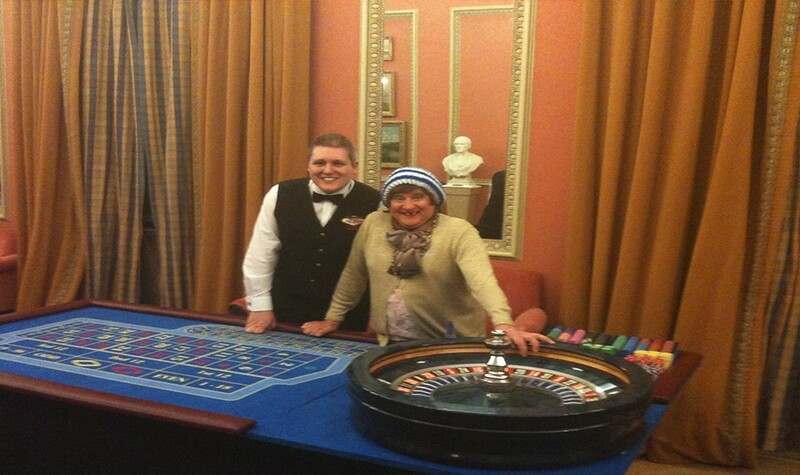 We provide all the gaming tables, croupiers and equipment to make your casino night a huge success. You and you guests can play the casino using fun money to buy chips at the tables just like a real casino. We usually run the casino for 2-3 hours and at the end we will count up all the chips and the person with the most casino chips wins! We can accommodate and scale our setup to suite any event from 20 up to 300+ guests. What events suit a Fun Casino in Ireland? 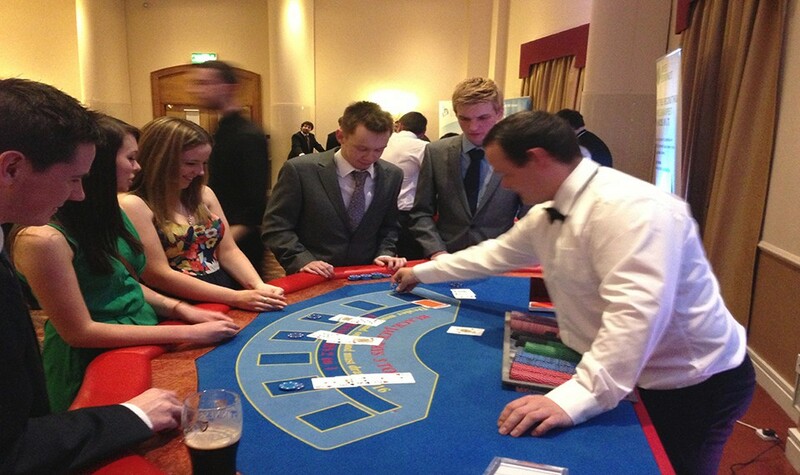 We can provide our casino for Weddings, Parties and Corporate events anywhere in Ireland. We also provide a specialist fundraising package for sports teams and charities. Book our casino for your event today by contacting us. 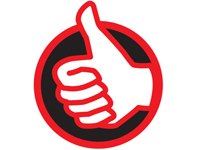 "Great staff, great knowledge and great service. Can't complain at all about KD Entertainments. Thanks for making my birthday party one to remember"
"Just want to say thank you so much to all the staff at KD Entertainments. My Fundraising event went perfectly and the entertainment provided was second to none. Absolutely perfect, thank you again"
"KD Entertainments were a great help to me and my husband on the run up to our wedding. They gave us professional advice and definitely took the weight off our shoulders when booking entertainment. I will definitely be using KD Entertainments for other parties"
- Joanne and Mark Ferguson.